Collaboration is key when it comes to making positive steps towards conservation. Trout Unlimited's Colorado Water Project is one of those collaborative initiatives working with agricultural leaders and organizations to conserve, protect, and restore our limited water resources around the state. Cary Denison, TU Project Coordinator, Gunnison Basin, was featured in the first segment of "This American Land" and talks about the ways that conservation can work with western water laws in providing the stakeholders with what they need and how Trout Unlimited is part of that conversation. Water is a limited resource in the west and is one of the major talking points for Coloradoans when discussing conservation. The state experiences very little rainfall in summer, fall, and spring but the mountains collect feet upon feet of snow-pack. Snow-pack is like Colorado's natural water storage that slowly melts as the warmer seasons approach, filling our streams, creeks, and rivers with the water needed to last until next winter. With the decreasing amount of precipitation, that snow-pack is becoming a resource that we cannot solely count on. That's where water conservation comes in. 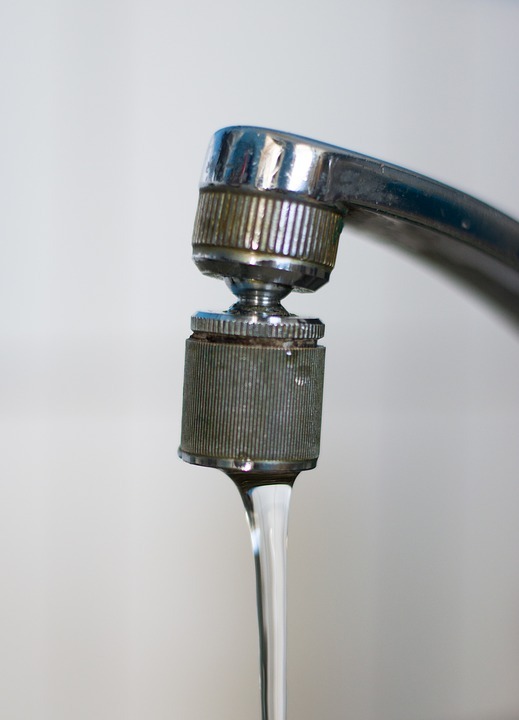 Water conservation is key in using this limited resource wisely and free up more water for other uses including nature. Not to mention more water for our trout to flourish in. Interested in the story or project? A second look at "trash fish"
Ugly fish. Trash fish. Suckers. Chubs. A lot of native fish in our rivers don’t get no respect. Many anglers consider them good for nothing, except for throwing back—way back onto the bank. But we anglers and sportsmen who care about rivers and cutthroats need to adjust our attitude a bit and quit looking down our noses at some of the “other” native fish. Turns out “trash” fish like Colorado pikeminnow, razorback sucker, humpbacked chub, bonytail and other native species are critically important to river and trout habitat conservation efforts here in the Colorado River Basin and other watersheds in the West. And trout and other angler-favored species are riding their fintails to a better life. The pikeminnow has been around for millions of years in the Colorado Basin and can grow up to 6 feet long and live for decades. Pioneers used pitchforks at times, it’s said, to haul them out of the river, they were so abundant. The fish provided food (albeit a bit bony) for the settlers. But with growing water diversions, drought, invasive species and other factors pressuring the river in the last half century, the numbers of these native fish plummeted, and they were listed under the Endangered Species Act. In 1988, the Upper Colorado River Endangered Fish Recovery Program was launched to bring them and the chubs and suckers back to sustainable numbers. 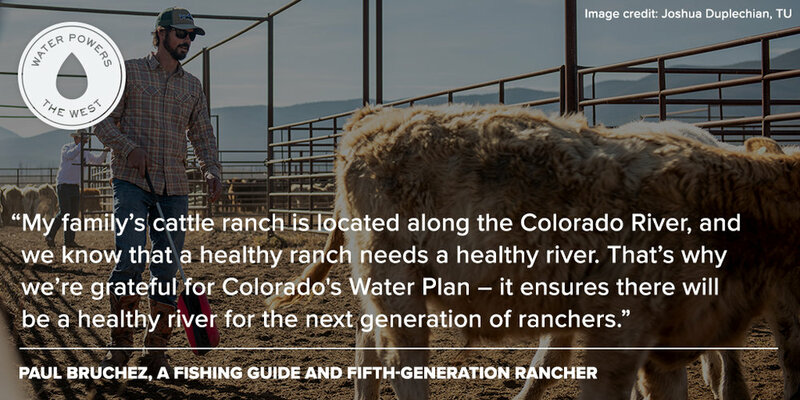 For three decades, the program has fostered cooperation, rather than conflict, among water users and directed federal and state funds to infrastructure projects that have benefited multiple users, from ranchers and farmers to municipalities. Trout Unlimited and other conservation groups have supported those efforts, because the water projects, improved infrastructure and enhanced river flows needed to recover pikeminnows, suckers and chubs also benefit upstream coldwater species like trout. For instance, TU helped upgrade the Relief Ditch and Hartland irrigation diversions on the Gunnison River a few years ago—a project that improved habitat and flows for trout. The project would not have been possible without funds directly tied to native fish recovery. Cary Denison, TU’s project coordinator in the Gunnison area, says that many anglers don’t realize that much of the West’s native trout have been removed from their historical ranges, and the remaining “natives” are those fish that many consider to be trash fish. They are some of the original members of that river community, and they belong there. We need all of the pieces of a river ecosystem intact to keep it healthy. So take a second look at that “trash” fish and give it some serious props for helping improve and restore our rivers for the other fish species we love. The fish are returning to Fraser Flats. It took years of vision and persistence, but Trout Unlimited’s long-game strategy of collaboration on the Upper Colorado River is paying big dividends for anglers and local communities that depend on a healthy river. Exhibit A is the Fraser Flats Habitat Project. The Fraser River, a key tributary of the Upper Colorado, had been degraded by years of water diversions and other pressures. TU and a host of water stakeholders joined forces to reverse that decline. The effort, called Learning by Doing, brought together a variety of partners including Denver Water, Northern Water, Grand County, Trout Unlimited, and Colorado Parks and Wildlife to help restore the Upper Colorado watershed. The group’s inaugural project at Fraser Flats aimed to restore a roughly one-mile stretch of the Fraser between the towns of Tabernash and Fraser, with the goal of providing healthy habitat for trout even during periods of reduced flows. The Fraser in this section had become too wide and shallow, resulting in sedimentation and high temperatures that smothered bug life and pressured coldwater-loving trout. Design work began last fall. In late spring, more than 150 volunteers turned out to plant willows and cottonwoods along the streambank for shade and bank stability. Then in summer and fall, the group brought in Freestone Aquatics to narrow the river with point bars and other structures to increase velocity and depth of the river. Freestone also created a series of riffle and deep pools to provide better holding water for trout. The results already have been nothing short of spectacular. Colorado Parks and Wildlife conducted a fish survey on Oct. 5, shortly after completion of the project, and found dramatic increases in the biomass of brown and rainbow trout in the stretch compared to previous surveys, and an even larger increase in numbers of larger (14" and up) fish. Preliminary electrofishing survey results from CPW showed the reach experienced a 415% increase in brown trout biomass, and a 550% increase in the numbers of brown trout greater than 14" in length. While rainbows are a smaller component of the population (15% of biomass, 25% of larger fish #s), they also blossomed with an increase of 267% in biomass and a 400% boost in fish over 14". Biologists also reported seeing large brown trout actively spawning in many areas of the stretch. In short, Fraser River trout have wasted no time moving into the improved habitat. What’s more, starting in spring 2018, the project will also provide public fishing access along a half-mile of the Fraser Flats section. Colorado Public Radio this week aired a segment about the successful project and the "unusual partnership" between TU and Denver Water . Watch the video below from Denver Water for another good overview of the project benefits. In this 5 1/2 minute video, Kirk Klancke, Anna Drexler-Dreis and other leaders with the Colorado River Headwaters Chapter share the story of how collaboration among TU, Grand County, Denver Water, and other stakeholders is creating opportunities to restore healthier habitat for the Fraser River and its riparian corridor. Unveiled at the Colorado Headwaters Chapter's annual banquet in July, the video was part of that evening's theme of recognizing how "conservation starts with conversation", recognizing key leaders including Denver Water board member Tom Gougeon and former Grand County Commissioner James Newberry for their leadership in opening the door for greater dialogue and cooperation among former adversaries in addressing shared interests in the health of the Fraser River watershed. To learn more about the work of the Colorado River Headwaters Chapter with the Fraser and Upper Colorado Rivers, you can visit the chapter website here. The Army Corps of Engineers gave its approval to Denver Water's proposal to expand Gross Reservoir in Boulder County in order to firm its Moffat System water supplies from Grand County. While the project will increase total diversions from the Colorado headwaters, Denver Water has incorporated mitigation and enhancement measures to the project that local TU members in Grand County believe can actually improve the Fraser River's health. As part of its commitments under this permit and the associated mitigation and enhancement plans, Denver Water will manage diversions to help provide needed flushing flows on the Fraser and its tributaries, complete habitat and native trout restoration work in the Williams Fork basin, and contribute funds toward ongoing habitat improvement efforts like the Fraser Flats project. Most significantly, Denver Water will participate in an adaptive management program called "Learning by Doing" through which Denver, Grand County, Trout Unlimited, and other local stakeholders are cooperating to apply mitigation and enhancement resources, monitor river and watershed conditions, and make adjustments to achieve the best results over time. 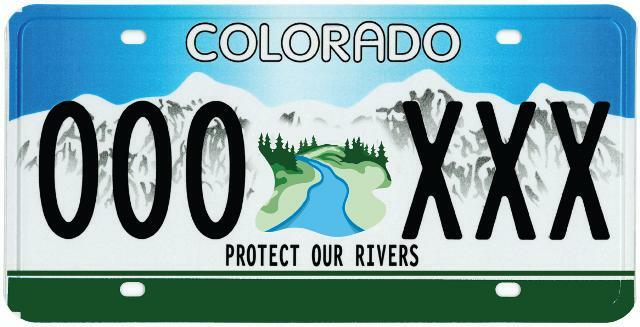 "Rather than remaining an adversary, Denver Water has joined us and our west slope partners as a partner working to improve conditions in the Fraser watershed," explained Colorado TU Executive Director David Nickum. In addition to the Learning by Doing effort, Denver Water has also pledged resources for improvement work on South Boulder Creek and on the North Fork South Platte (which will be impacted by ripple effects from Gross Reservoir expansion on Denver's systemwide operations, including the Roberts Tunnel). 5000 acre-feet in the enlarged reservoir will also be reserved as an environmental pool to be managed to help provide instream flows at key times to downstream reaches of South Boulder Creek. By David Nickum For more than a decade, the battle over Colorado’s Roan Plateau—a beautiful green oasis surrounded by oil and gas development—raged in meetings and in courtrooms. At issue: Would the “drill, baby, drill” approach to public lands carry the day and the path of unrestrained energy development run over one of Colorado’s most valuable wildlife areas? Or would “lock it up” advocates preclude all development of the Roan’s major natural gas reserves? Luckily, this story has a happy ending—and a lesson for Colorado and other states in the West struggling with how to balance the need for energy development with conservation of public lands and irreplaceable natural resources. What happened? After years of acrimony and lawsuits, stakeholders on all side of the issue sat down and hammered out a balanced solution. Everyone won. It’s too bad it took lawsuits and years of impasse to get all sides to do what they could have done early on: Listen to each other. We all could have saved a lot of time, money and tears. The Roan example is a lesson to remember, as the incoming administration looks at how to tackle the issue of energy development on public lands. There’s a better way, and it’s working in Colorado. The BLM also this month, incorporating stakeholder input, closed oil and gas leasing in several critical habitat areas in the Thompson Divide—another Colorado last best place—while permitting leasing to go ahead in adjacent areas. And in the South Park area—a vast recreational playground for the Front Range and an important source of drinking water for Denver and the Front Range—the BLM is moving ahead with a Master Leasing Plan (MLP) for the area that would identify, from the outset, both those places and natural resources that need to be protected and the best places for energy leasing to proceed. We have said that we want federal agencies in charge of public lands to involve local and state stakeholders more closely in land management planning—that perceived disconnect has been the source of criticism and conflict in the West regarding federal oversight of public lands. The lesson I take from the Roan? We can find solutions through respectful dialogue—and we shouldn’t wait for litigation to do so. Coloradoans can meet our needs for energy development and for preserving healthy rivers and lands by talking earlier to each other and looking for common ground.